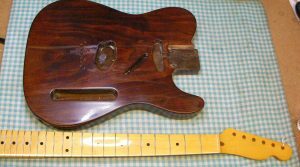 Looking for repairs for a damaged guitar? 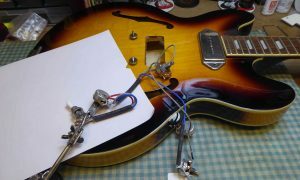 Need your guitar servicing to make feel just like new? Then I can help. I’m Guitar George. What do I do? 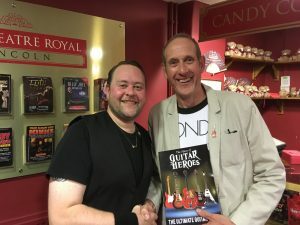 Pretty much everything related to guitars, from restrings to part upgrades, from body work repairs to fret dressings and more. So how can I help you? 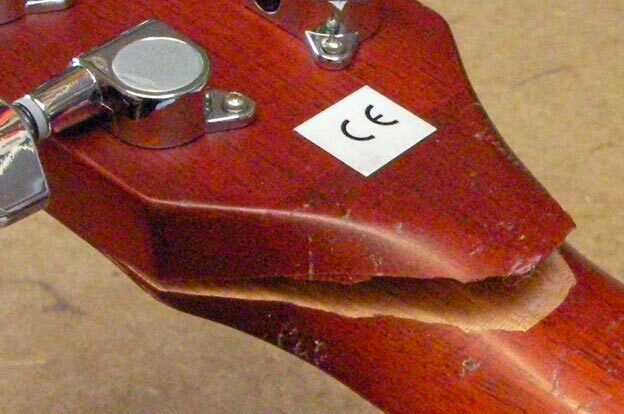 If you’ve had an accident with your guitar, don’t despair. 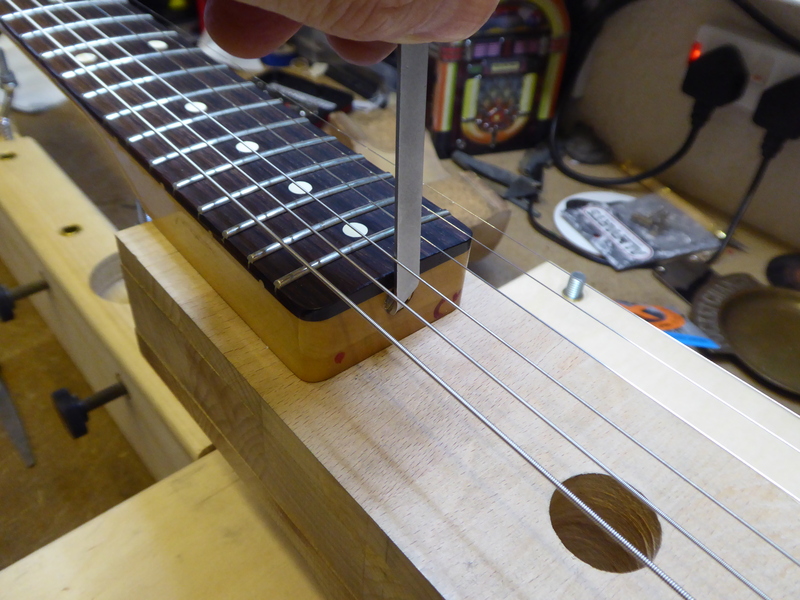 I’ve fixed everything from broken switches to guitars which have come into my workshop in several pieces! Perhaps not invisible but practical.. Anything from a simple solder repair to a complete re-wire. 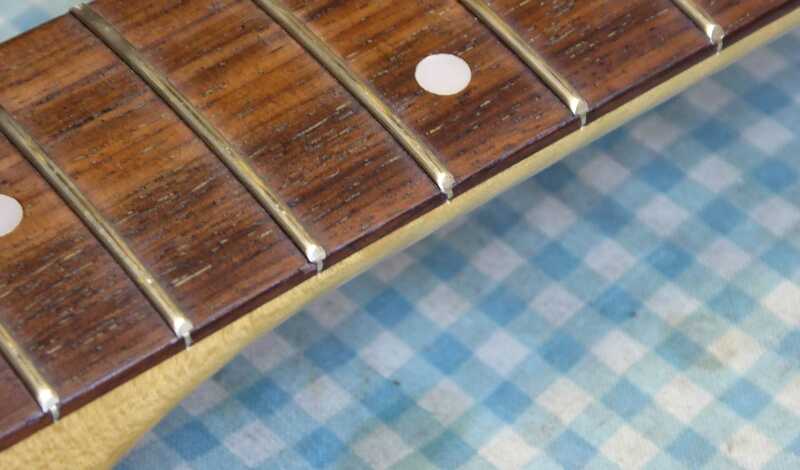 Guitars do wear out: frets get worn, switches corrode and become dirty, so a regular service is necessary to keep them in tip-top condition. 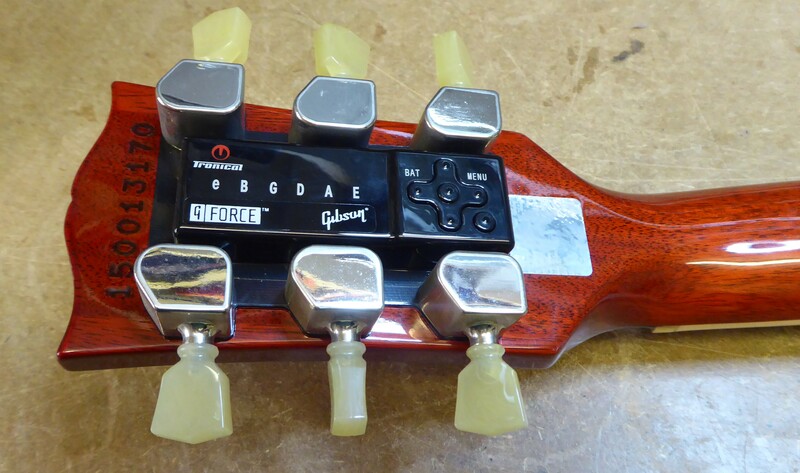 Do you want a brighter sharper tone, or a real heavy metal high output? 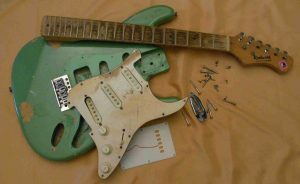 Or do you have an old guitar that you think is fit for nothing but the bin? If you want something extra special then I’ll find all the parts and put together something very individual.